Hello! 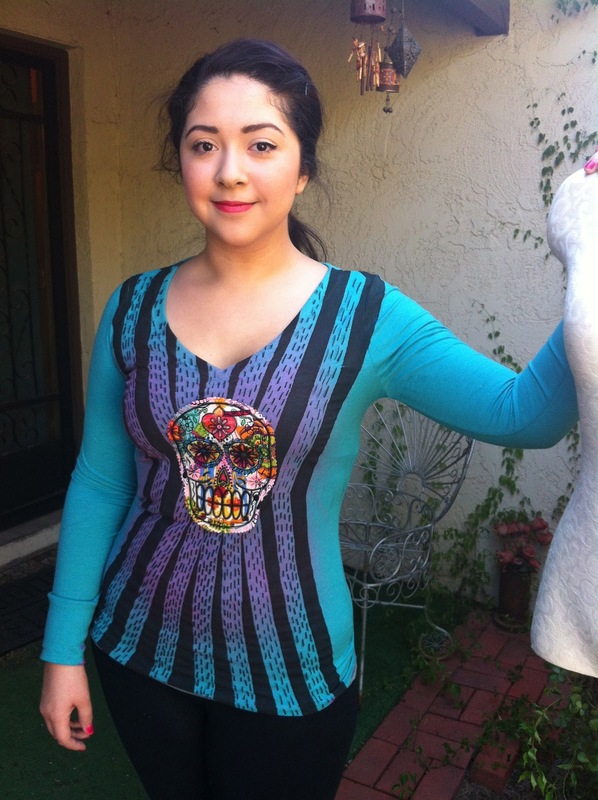 MayaInTheMoment here! 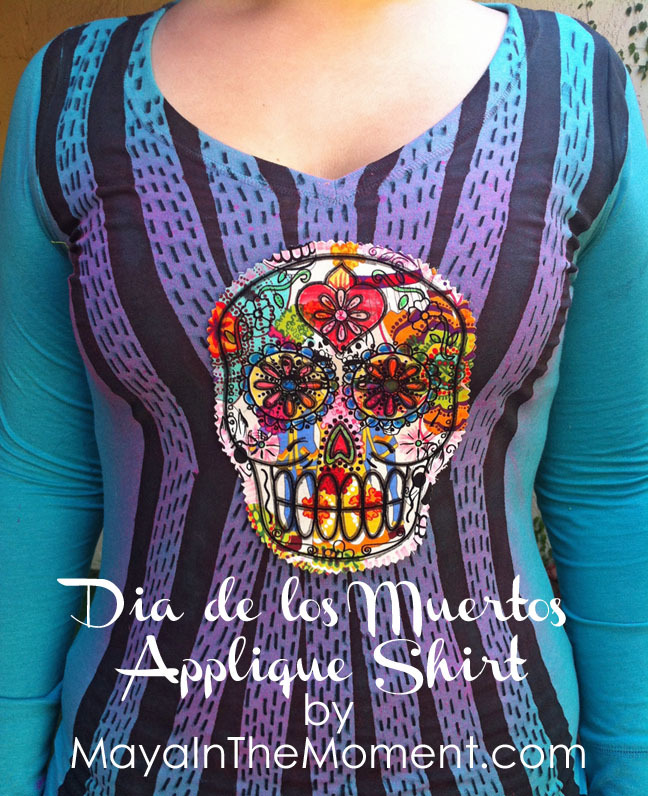 Since Day of the Dead (also known as Dia de los Muertos) is quickly approaching AND my mom has her product line, “CraftyChica” out in select Michaels stores……….. 😉 I thought to turn this plain shirt into Day of the Dead glam! 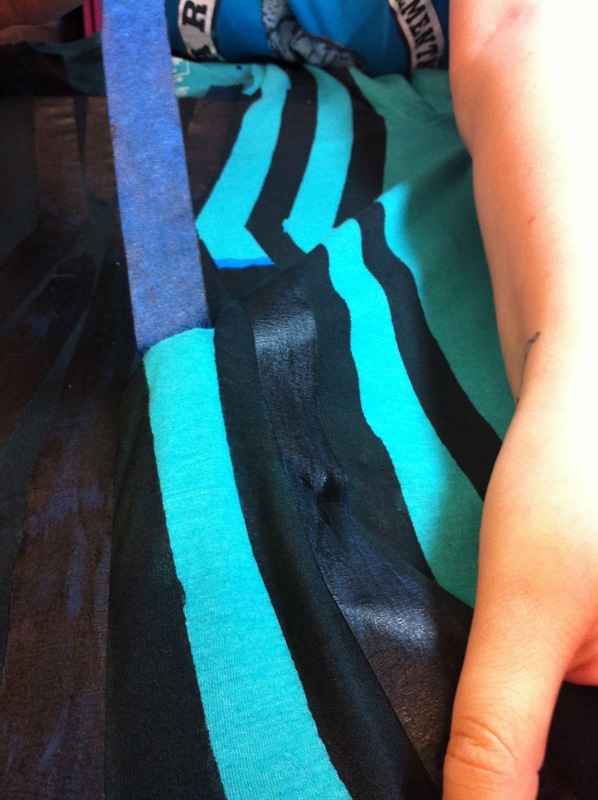 Place tape in vertical strips, I narrowed mine in the center to emphasis a smaller waist. Press the tape so it if firmly on the fabric with no bumps. 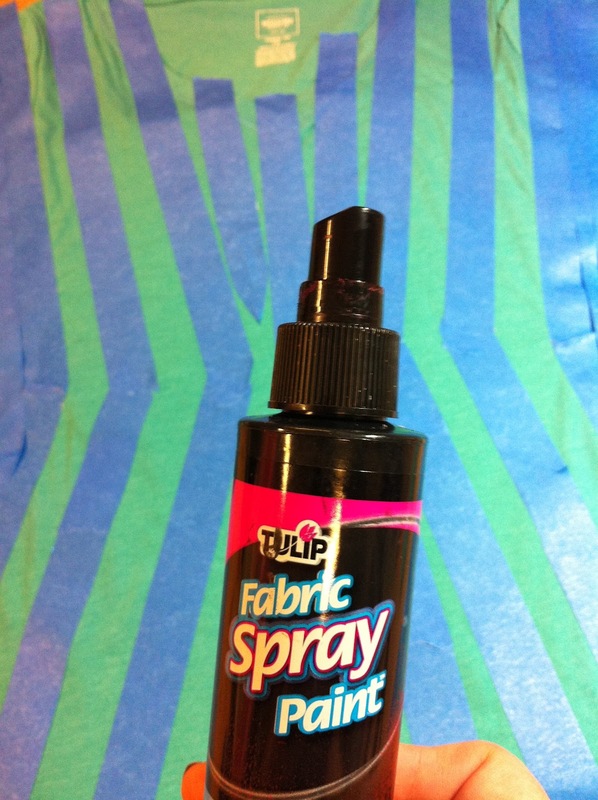 Spray the black on the fabric. 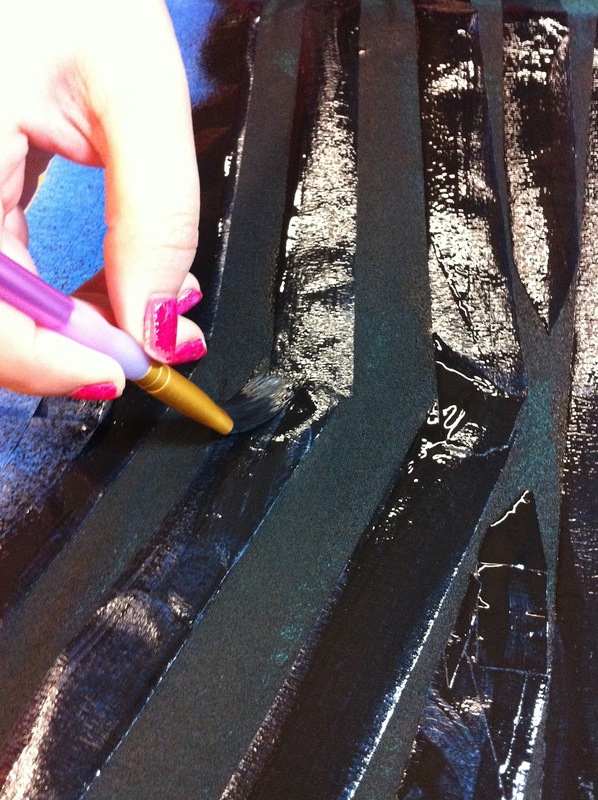 A lot of paint will collect on the tape, so use a brush and pick it up and use it to paint over the opene spaces to make the black even more opaque. 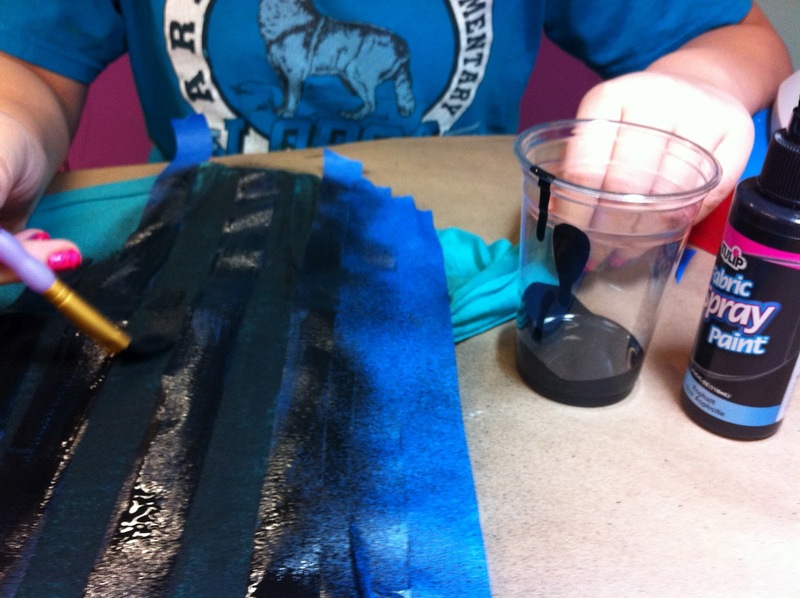 If it’s easier, you can even pour some of the paint int a cup and touch up smaller areas that need it. 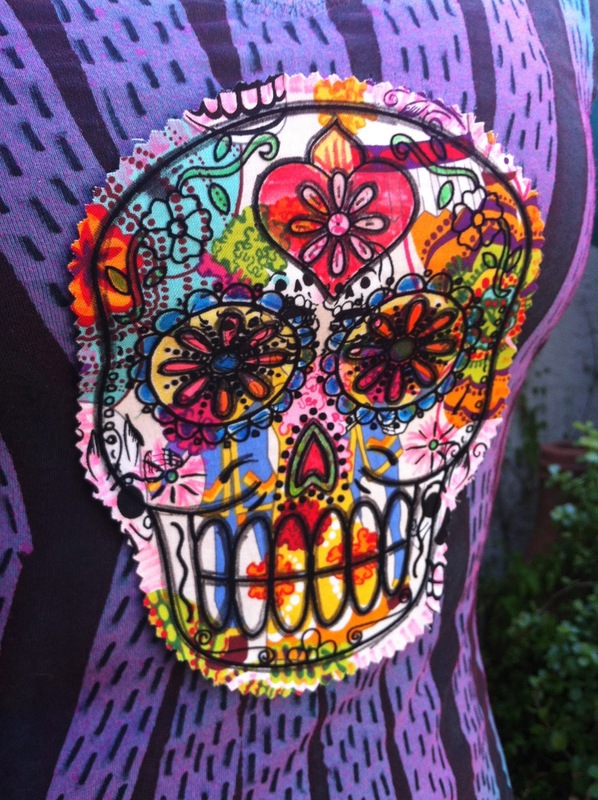 While the paint dries, go ahead and iron on your Crafty Chica transfer to a piece of fabric. Let it cool and then peel off the plastic.Use pinking shears and cut around the edges of the design to make your applique. 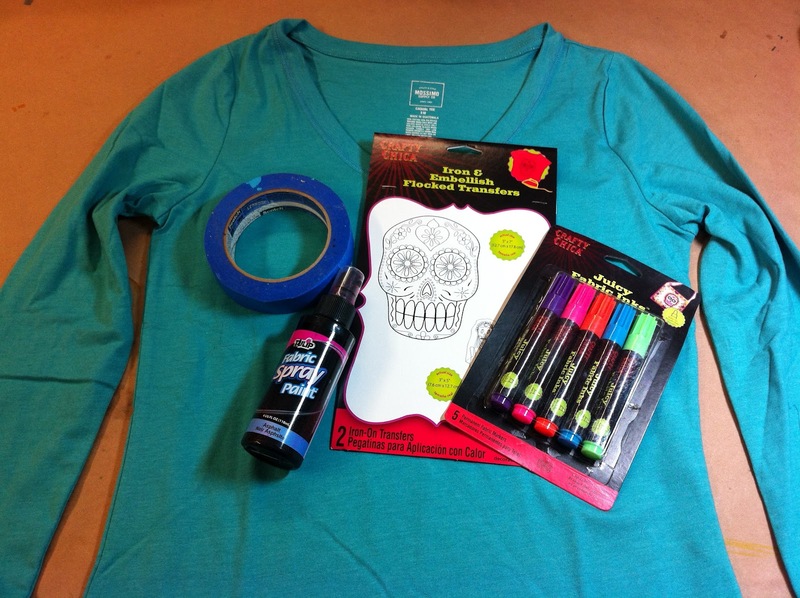 Remove tape then let it dry for at least ten minutes or until paint is completely dry. 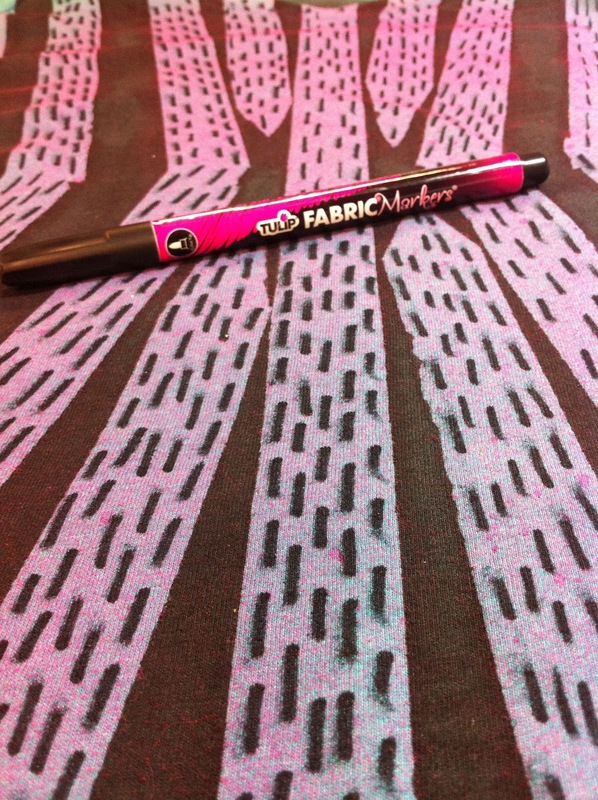 Spray on the hot pink paint, let dry then if you want more design/texture add dashes with the fabric marker. 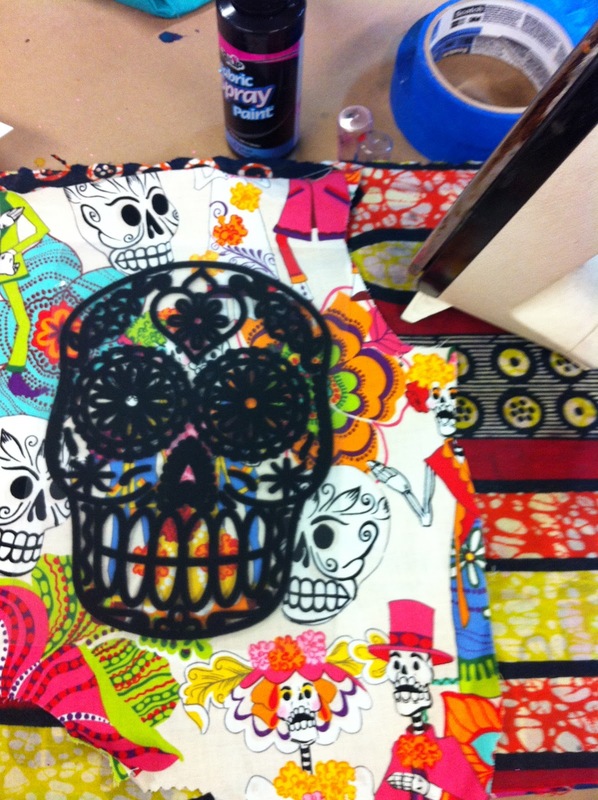 Turn over the applique and apply the Fabric Fusion Peel and Stick Sheets. 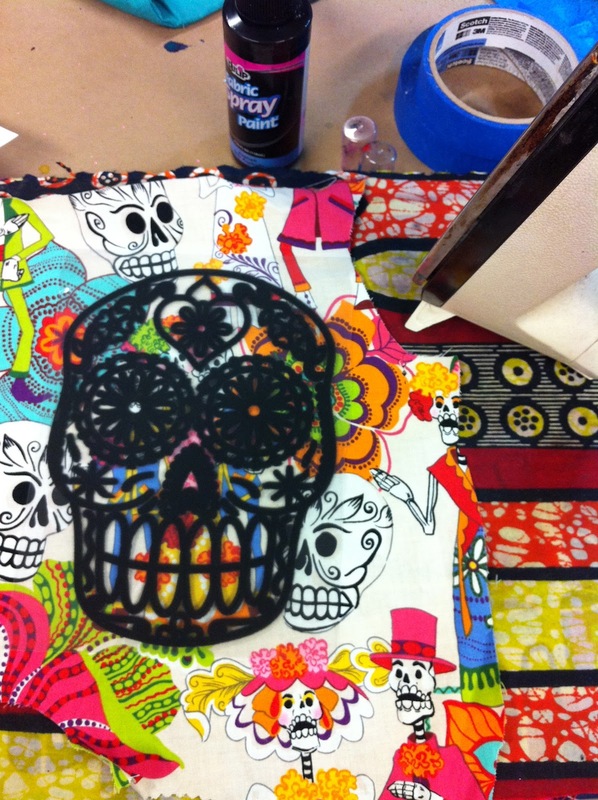 Press the applique in place. The adhesive is meant to be washed and even dry cleaned, so no sewing is needed! ALSO…check out my new love song video! Let me know what you think!